The insane thing about this story, aside from the obvious, is that the two women involved continued to be voted into office...and these stories are just the tip of the iceberg. On June 2, 2015 the Wellston, MO police department was disbanded. The City Council voted to disband after a council woman was arrested on a weapons charge and her son on drug charges. 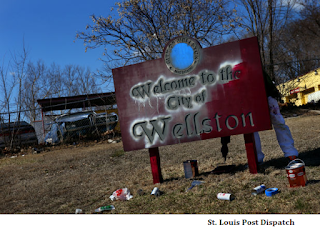 The following article and video (must see), demonstrate how the police officers are the only ones with integrity and compassion for the residents of a God-forsaken town called Wellston, Missouri. WELLSTON, MO (KTVI) – FOX 2 has obtained exclusive evidence, including police body camera video, showing a councilwoman who appears to be trying to control a North County municipal police department. Officers with the Wellston, MO Police Department say they`re being hampered from protecting citizens, because of one woman with power. 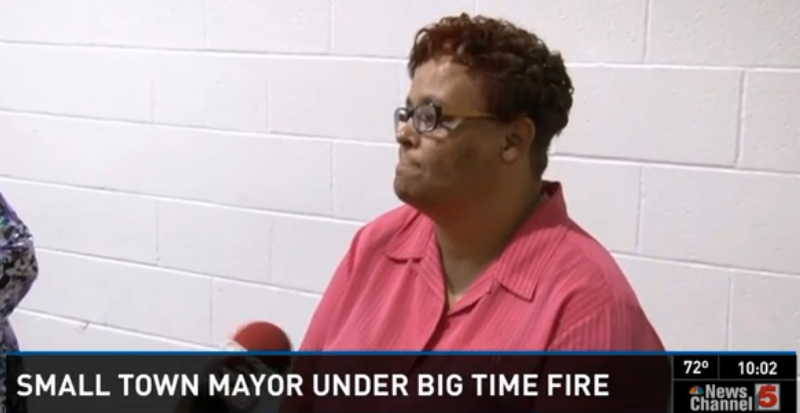 She was calling about the son of a Wellston city councilwoman (Janet Dixon)." WATCH the video! "ST. LOUIS COUNTY • A Wellston city councilwoman charged with assaulting a woman at a public meeting Monday night denies she attacked anyone and says she was the victim in the scuffle. 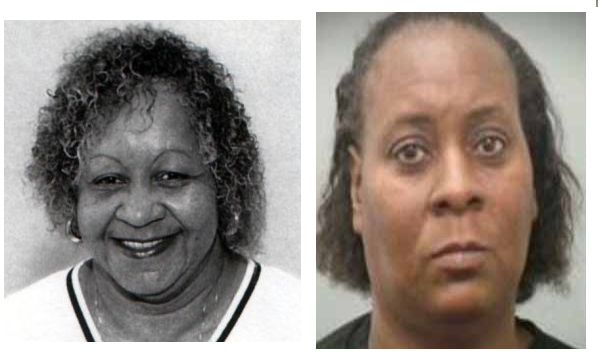 Councilwoman Helen Jackson, 78, of the 1500 block of Oak Grove Avenue in Wellston, was charged today with third-degree misdemeanor assault. Police and prosecutors say Jackson approached Wellston resident Barbara Wilson, 81, in the first row of the city council chambers and grabbed Wilson's arm, causing a sprain in Wilson's shoulder. Court documents say Jackson then "balled up her fist as if to punch" Wilson when police separated them. Wilson was taken by ambulance to St. Mary's Health Center in Richmond Heights for treatment. She could not immediately be reached Wednesday." Police Officer accused of Police Brutality - but that is not what the video says but the Mayor won't back the Chief up! "It seems the mayor, Linda Whitfield, won’t let the chief have access to his own interrogation video.Reporter: “Do you know of any police department in America where police don’t have access to their own interrogation video?””I’ve been in the police profession for 43 years and worked with five different departments and I’ve never seen anything operated in that manner before,” said Chief Walker." WELLSTON • Officials released all the prisoners from the Wellston Jail on Wednesday night because the police department could not afford to feed them, Police Chief G. Thomas Walker said Thursday. He said the city stopped providing funds for inmates’ meals and that officers who bought food from their own pockets have been unable to obtain reimbursements. Walker also claimed the city of about 2,500 people has not audited its funds in at least 14 years, and he said he plans to ask St. Louis County officials to investigate. Walker said his eight full-time and seven part-time officers are issued only badges and ID cards, and must purchase their own guns, ammunition, uniforms and flashlights. Officers ranking up to lieutenant are paid $11.96 an hour, he said, and he would like to pay them more." WELLSTON • FBI agents raided city offices here Monday and seized financial records, Wellston Police Chief G. Thomas Walker said." In a phone conversation just before 5 p.m., Walker said that agents were still in the building. “I don't know specifically what they're looking for, but they're taking a lot,” he said." "A member of the Wellston City Council was arrested Monday. Janet Dixon was arrested and booked into the St. Louis County Jail Monday. Dixon is now out of jail. 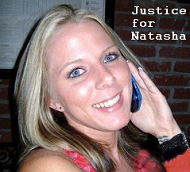 News 4 is working to find out why she was arrested." "WELLSTON, Mo. - A small town saga takes a new twist, as a much-criticized mayor publicly takes the oath of office. The mayor was already impeached, and now she's possibly breaking law by returning, this time with her husband on the city council. Now some residents are asking why the mayor hasn't been arrested. It's a question that has been brought up to the Wellston police chief since she was re-elected last month. Some say she's breaking a new ordinance that states if you are impeached you can't hold office again." "WELLSTON, Mo. – The police chief of the Wellston Police Department says the mayor fired him Friday night. Chief G. Thomas Walker says when he asked for a reason, he wasn't given one. Mayor Linda Whitfield is surrounded by controversy herself. The city council impeached her in March, but she was re-elected. The city council passed a law that says once impeached you can't hold the position again. Now the mayor is fighting the city over it in court with a hearing scheduled for Tuesday." (KTVI) – The Wellston city council meets on Wednesday for the first time since a former mayor stole and later returned dozens of city paychecks. The council is expected to elect a new mayor pro-tem tonight to replace Linda Whitfield, who was impeached earlier this spring. A court ruled she could not return to office. She caught heat last week for taking paychecks which she has since returned." "WELLSTON • Former Pine Lawn police chief Rickey Collins is now Wellston police Maj. Rickey Collins. Collins confirmed that his first day on the job in the community of about 2,200 in north St. Louis County was today, but refused to offer any additional comment." Criminals upset over efforts by new Chief to step up police enforcement. Remember that this department was unable to jail criminals because of budget constraints.